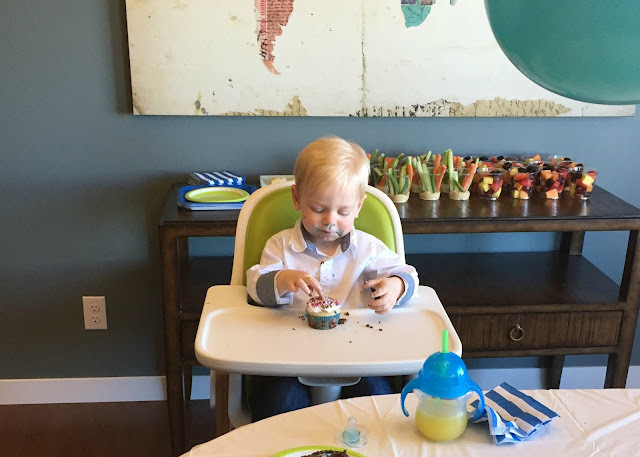 This past weekend, we celebrated our little man's second birthday! 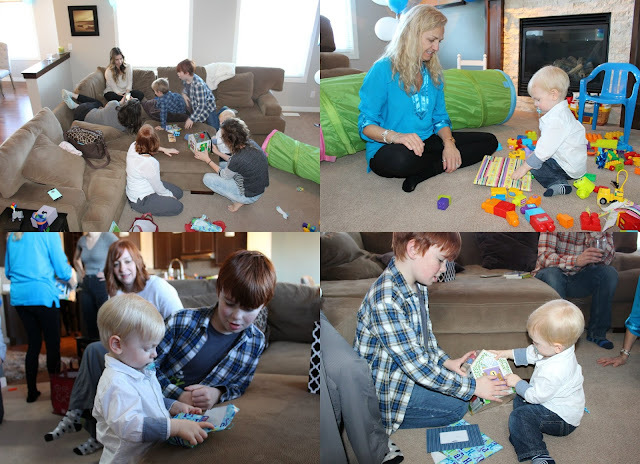 It feels like yesterday that we had just moved to Calgary and were planning his first birthday party! I can't believe how fast this past year has gone, and yes, I am very well aware that I will be saying that every single year from now on. Anyway, I knew that this year his party would be much more low key for a few reasons. 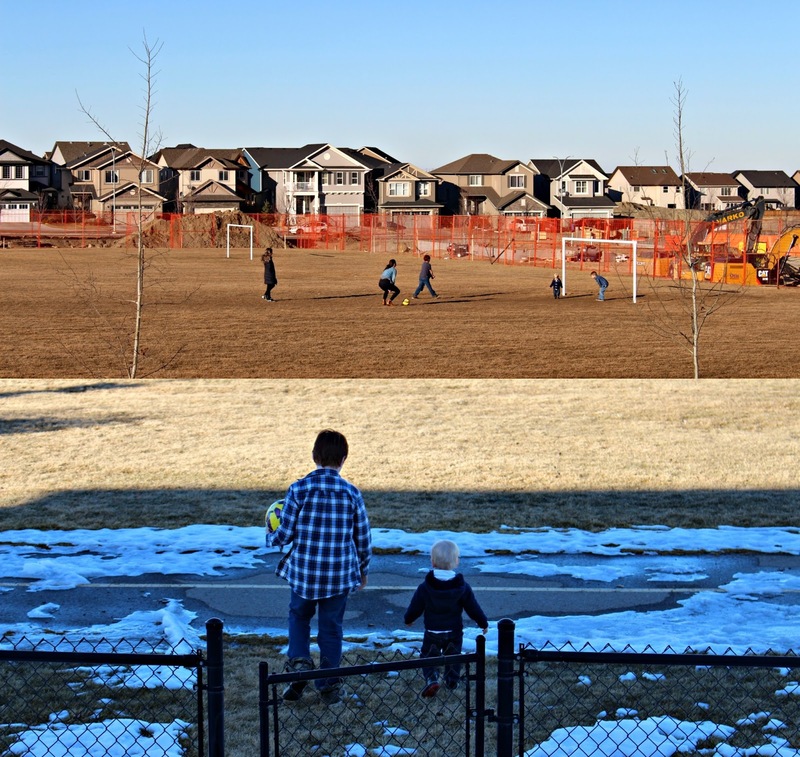 For one thing, most of our family and friends live in Edmonton and I knew it would be silly to ask or expect people to drive 3 hours to come to a birthday party. Secondly, until Sully understands what his birthday actually means, I personally don't see the point in going over board with the party planning. But that's also because I'm not a huge party person. I'm all for celebrating and acknowledging someone's special day, but I didn't want an overwhelming and large party this early in the game (of course, I might have felt differently about it all had we still be living in Edmonton. But that's neither here nor there). This mentality worked out especially well for me this year since I was so sick the week before his birthday that I had no desire to plan much. So simple it was! My sister came to visit this weekend so she could be here for it since she missed his birthday last year and we didn't get to see her at Christmas time either. My sister-in-law Patty and my two youngest nephews drove down for the party, and Sully had the time of his life chasing them around. My aunt Max and her husband Barry, my cousin Lauren, and Barry's daughter Kate, Kate's husband Dan, and their daughter Gwen also joined the party! I relied on lots of balloons for decorations (because what two year old doesn't love balloons?! 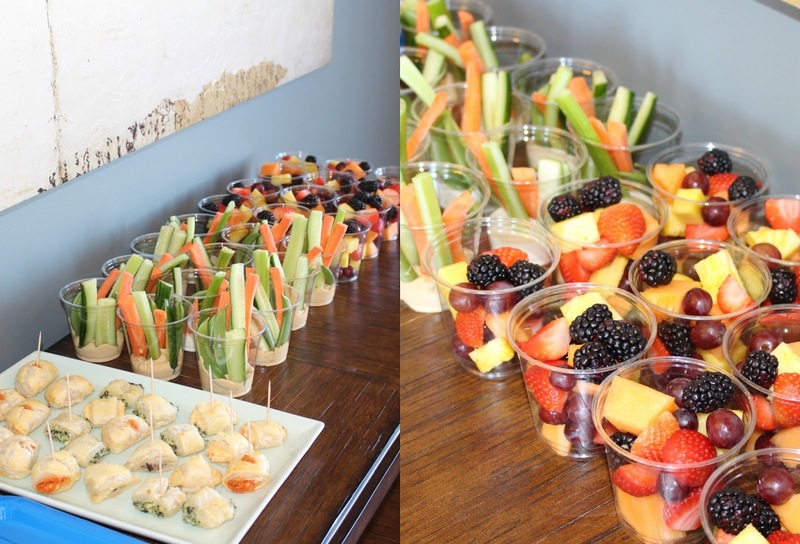 ), provided some appetizers, fruit and veggie cups, and made homemade cupcakes. And booze. We had lots of booze, because I'm pretty sure every adult needs alcohol to get through a toddler's birthday party! The weather was so beautiful that day that the kids were actually able to run around and kick the ball in the field behind our house, and it's so sweet to watch Sully run after them. I think the most memorable moment from the party was when Sully put his finger into the birthday candle flame on his cupcake. I've posted the video on social media, but I've also included it at the end of this post because it's just too funny not to share! Yes, I am that mom that laughs at her own son's expense! (And in my defence for not reacting quicker, I actually didn't see what had happened as I had pulled my camera to my face and thought he was just crying because that's what toddlers do!) Don't worry, his finger is fine and I think his reaction was more of a reaction to how we all reacted. 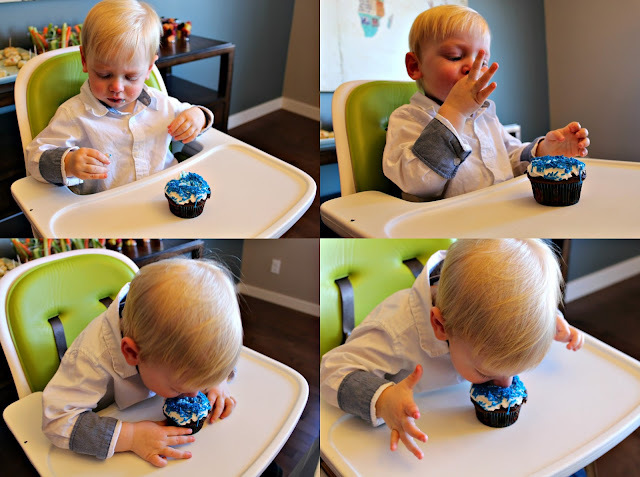 Oh toddlers. Never a dull moment! Anyway, there's not much else to say, I tried to take lots of pictures, but that's almost impossible at a birthday party and getting your two year old to stop moving for one second is pretty much the hardest thing ever! Thank you to all of our family who spent the afternoon with us to celebrate Sully's second birthday, and thank you to everyone who called, texted, etc to send their love on such a special day!